I’m beyond excited to introduce my new series, Meet the Beaches in partial partnership with Jrrny! I’ve been wanting to do this for a while now since when I first moved here, I had no idea which beach was where, how close to the city or what was around it. Apparently I wasn’t the only one! It’s one of the top questions I get when people are visiting LA and decided I’d make a simple guide of the most frequented beaches. Every couple of weeks, I’ll be introducing a new beach and can’t wait to share it with you! 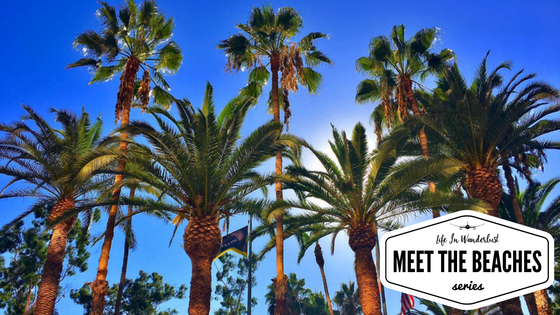 We're kicking off Meet the Beaches from Long Beach, probably the least "beachy" since there really isn't that typical pier and sandy beach scene here. But it's one of the bigger cities in the Los Angeles area with a lot to offer! Aquarium of the Pacific: If you’re with kids (or not, I love aquariums too!) the Aquarium of the Pacific is sure to please the little ones! 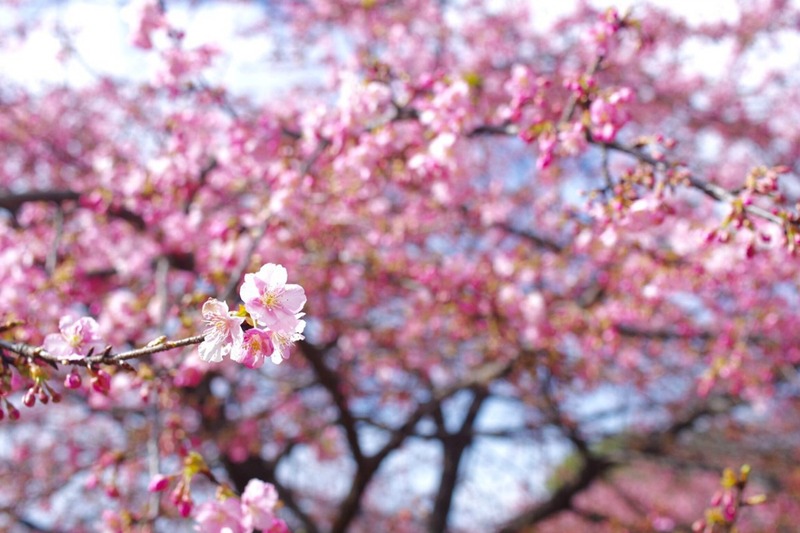 It’s conveniently located in the downtown area and you can easily spend a day there. Admission isn’t ridiculous considering the size and variation of exhibits. Nice as a date spot, too! Belmont Shore: Belmont Shore is a charming beachside community with an entire street dedicated to eateries, boutique shops, spas and other retailers. Street parking isn't too difficult to find so I highly recommend a visit. You're bound to find something you adore (or a few somethings!) there. 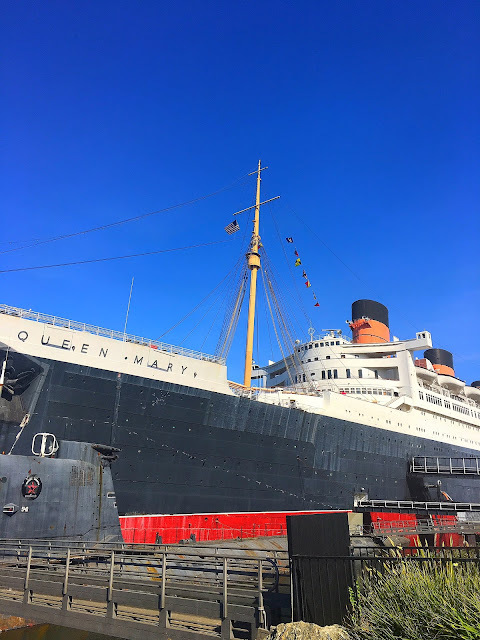 The Queen Mary: You'll see the Queen Mary mentioned here in "Do", below in "Eat" and "Stay" simply because it's a Long Beach landmark worthy of your time. The retired ship sits permanently at the Port of Long Beach serving as a museum, event space and several eateries. 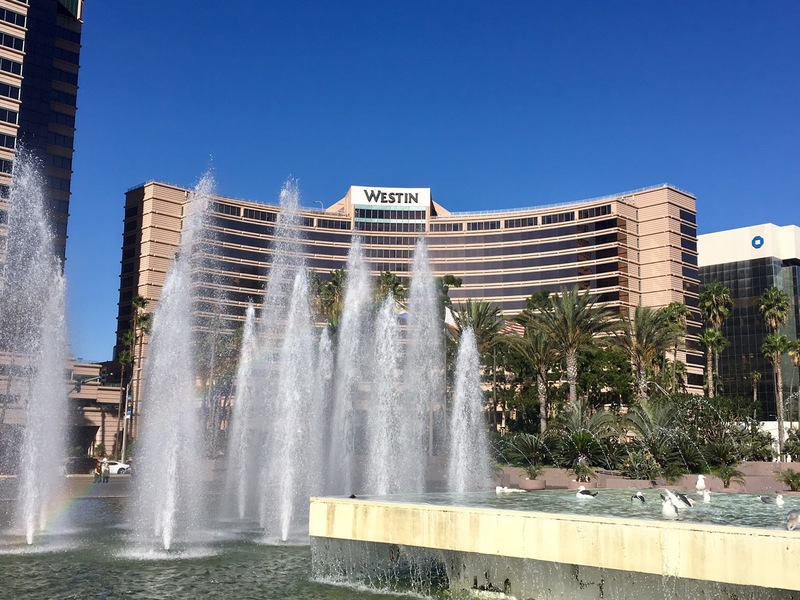 They host annual events such as the Dark Harbor during Halloween and the Chill during the holidays. I have a post with more details right here. Shoreline Village: Shoreline Village is the Long Beach equivalent of a Pier. They have an arcade, ice cream shops, a few restaurants, quirky shops, all right on the water. It's worth a visit but a quick warning, parking is scarce. It's close to several hotels downtown so I suggest walking or taking an Uber! 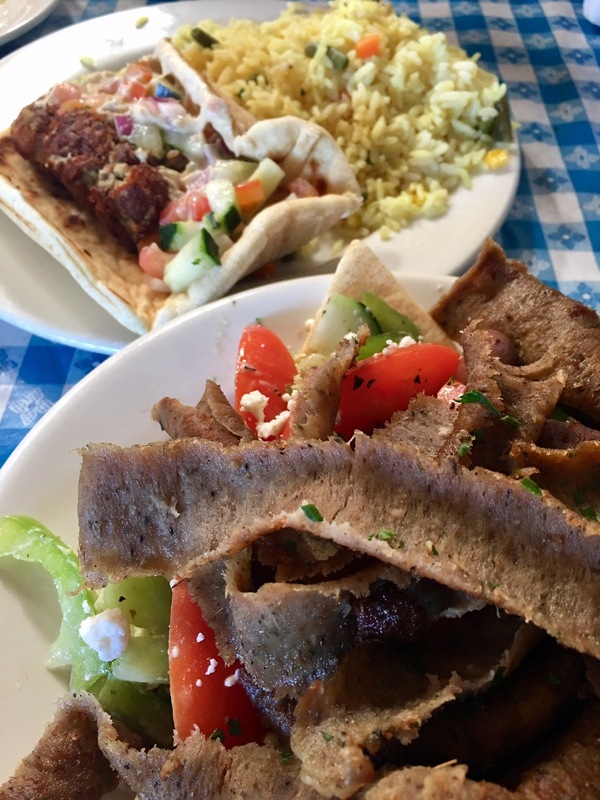 George's Greek: This Long Beach gem is loved by residents and tourists alike. Their name is fairly self-explanatory as a Greek restaurant but I'm just here to say it's worth going at least once....or twice. Their servings are generous, reasonable pricing, friendly service and most importantly, delicious, drool-worthy food. Their gyro was just, wow. Ma & Pa's Market: Are you like me and love discovering things that may not necessarily be in a guidebook? 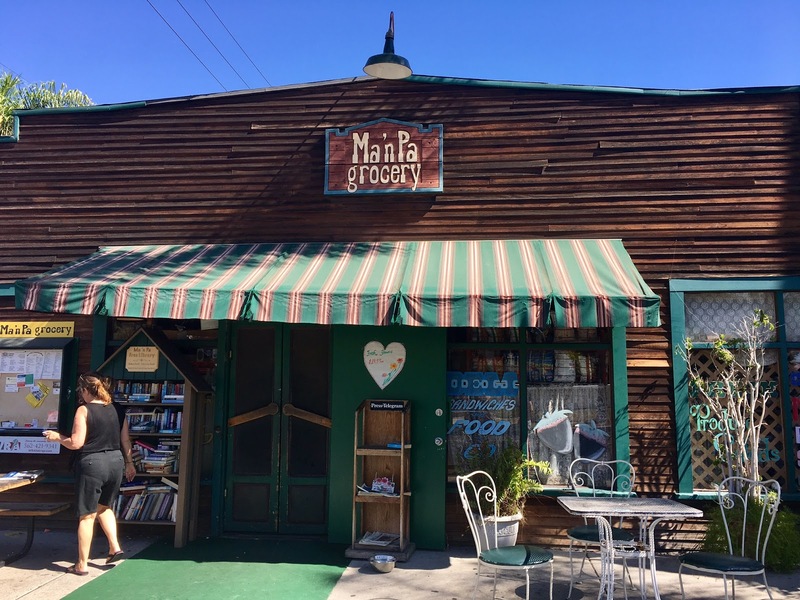 Then check out Ma & Pa’s Market, located in a residential neighborhood in Long Beach. 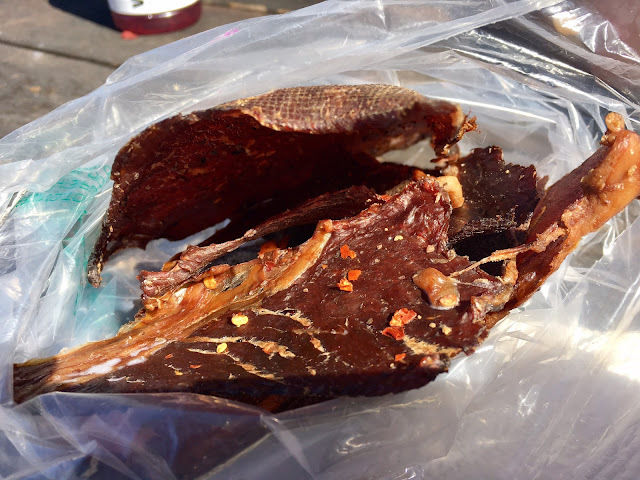 Not only is it a charming market with your daily necessities, they’re known for their homemade beef jerky! They have bins of different flavored jerky and they sell out quick! 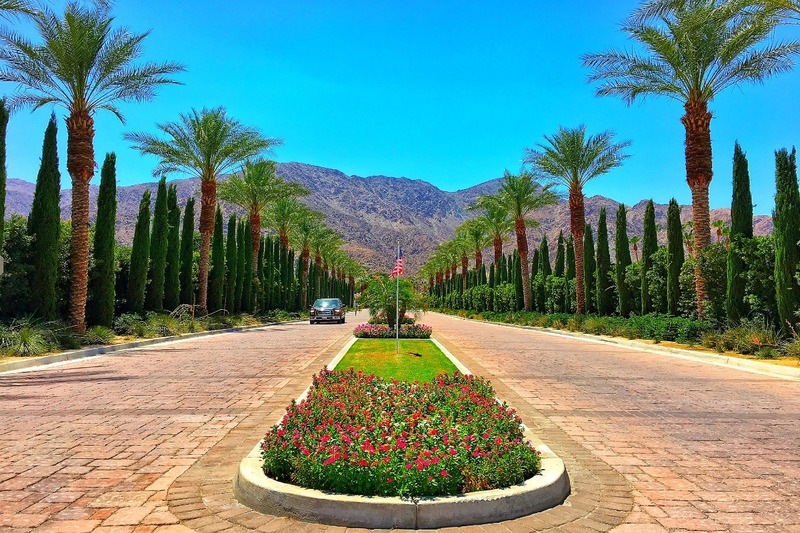 Big thanks to a fellow travel blogger, The Sterling Traveler for the insider tip and recommendation! Sunday Champagne Brunch at the Queen Mary: Fancy a bottomless champagne or mimosa along with a ballroom full of delicious food in a retired ship? At approximately $50 and a recommended reservation, you get admission onto the Queen Mary with access to the Sunday Champagne Brunch. Prime rib, fresh seafood, omelet station, Mexican, Italian, Asian and most importantly to me, a sizable dessert station including a made-to-order crepe booth. Are you convinced yet? If you don’t feel like shelling over $50 for food, at least check out the Queen Mary or even stay there. Here’s a post dedicated to the Queen Mary I wrote for more information. Fuego: Did anyone say house-made guacamole and strong margaritas? Fuego is inside the Hotel Maya situated by the water. Their menu is to die for if you’re a fan of Mexican food. Roasted pork dish, house-made chips & guacamole with their signature margarita makes for a fantastic meal with a view. You can also explore the aztec-themed hotel in all its hot pink and quirky glory. Want a historical experience? 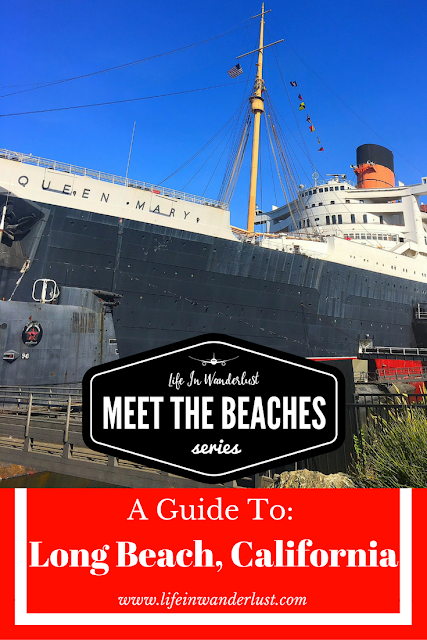 The Queen Mary is magical and the opportunity to stay in a retired ship doesn’t come around often. Want something different? 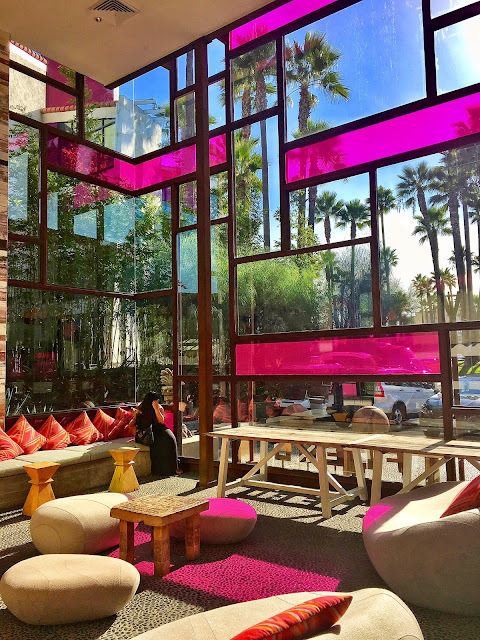 Hotel Maya, a Doubletree by Hilton is an aztec themed hotel and to this day, remains as one my favorite hotels of all time (and I’ve stayed in a ton!). I hope you enjoyed the first of many posts of the beaches here in Southern California. Subscribe and stay tuned for the next beach session! This Meet the Beaches post is not sponsored by Jrrny. Shame on me but after 8 years in SoCal I've never made it to Long Beach! Ouch! 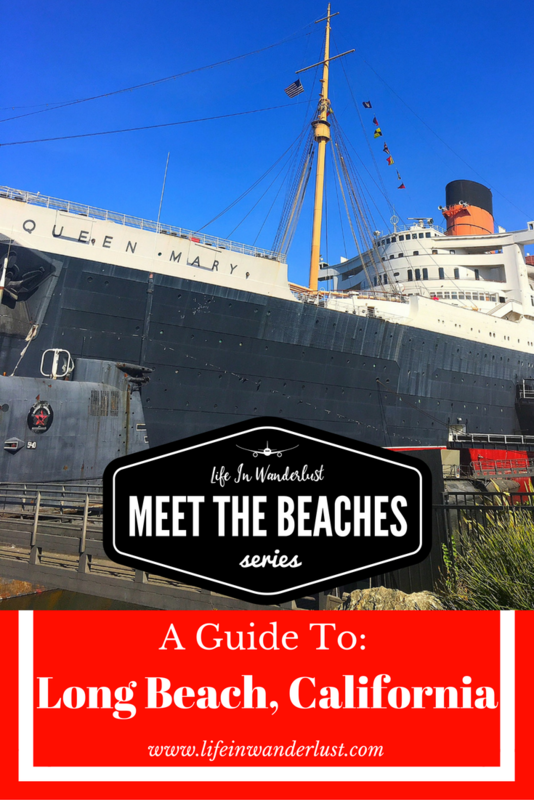 After reading your step by step guide I have no more excuses :) Question: is visiting The Queen Mary worth it or its totally a tourist trap? Awesome series! Such a great idea! I've only been to LA once and I would have loved to have a guide to beaches when I was there. The Shoreline village here sounds really cool. Fuego sounds amazing - hello guacamole and margaritas! Such a fun guide. I'm excited to learn more about the SoCal beaches in future posts. I'm constantly adding places to my California bucket list (SOME DAY) so it's nice to learn about some of the beaches near LA. Brunch on the Queen Mary sounds awesome! Gotta love those bottomless mimosas! OMG how good is George's??? Thats where we had our rehearsal dinner!!! Probably the best (and healthiest/freshest) Greek food I've had in the States!! What a great idea doing a series of posts introducing us all the awesome beaches around. 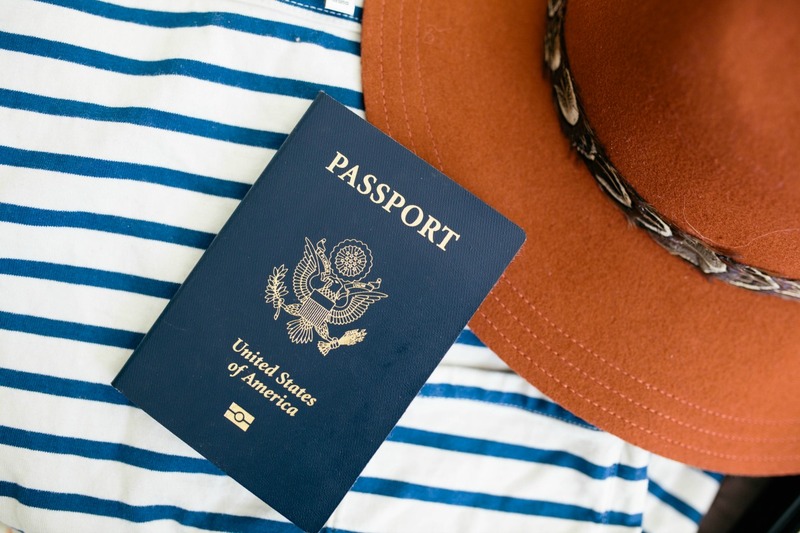 It's great that you have added places where to stay and eat too! If I am ever in Long Beach, I will make sure to refer back to this article. This was fun to read since I grew up in nearby San Pedro, and went to Cal State Long Beach. I was even in a little theater group in Belmont Shore... decades ago! Thanks for the memories.